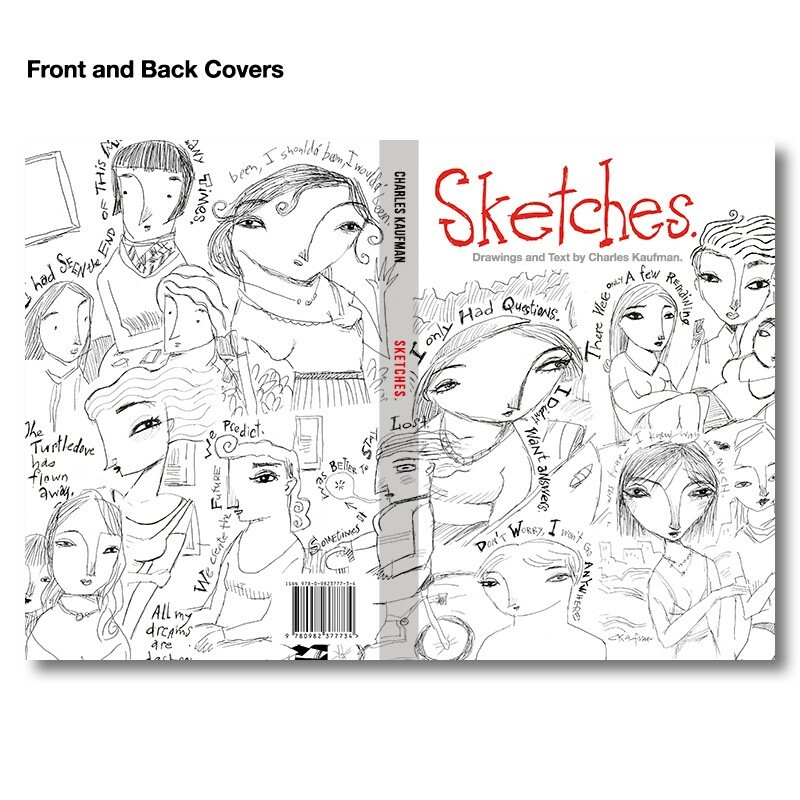 Book Special Offer: Regular Price: "Five Hundred and Forty Women" 29.96€ + "Sketches" 15.00€ = 44.96. Here only 37.96! Save 7€....Plus receive a limited-edition Charles Kaufman 11.95€ book bag for free! Bonus! 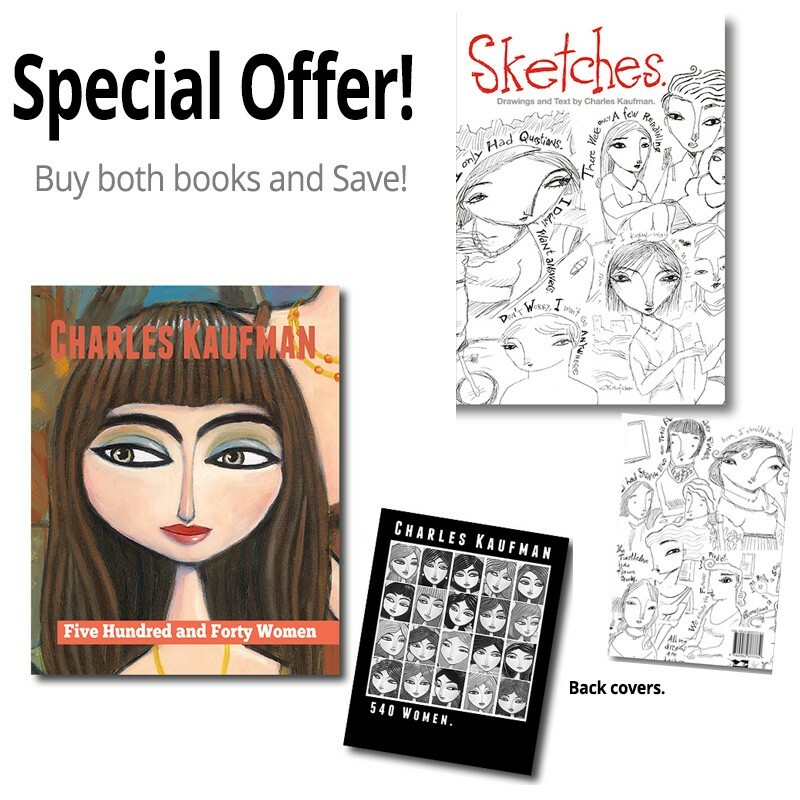 Books are hand signed & dated by Charles Kaufman. 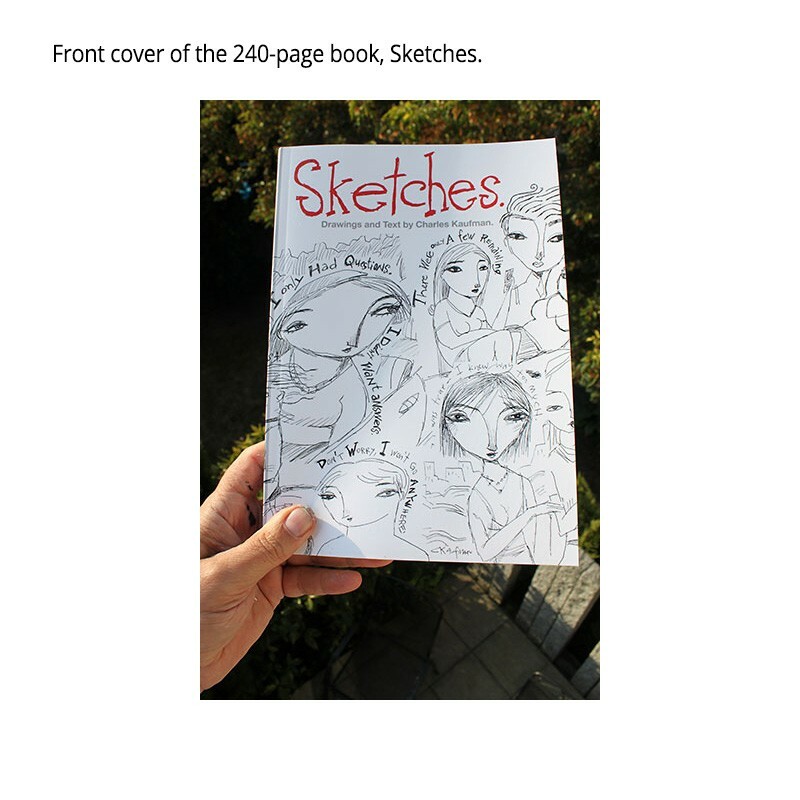 Regular Price: "Five Hundred and Forty Women" 29.96€ + "Sketches" 15.00€ = 44.96. Here only 37.96! 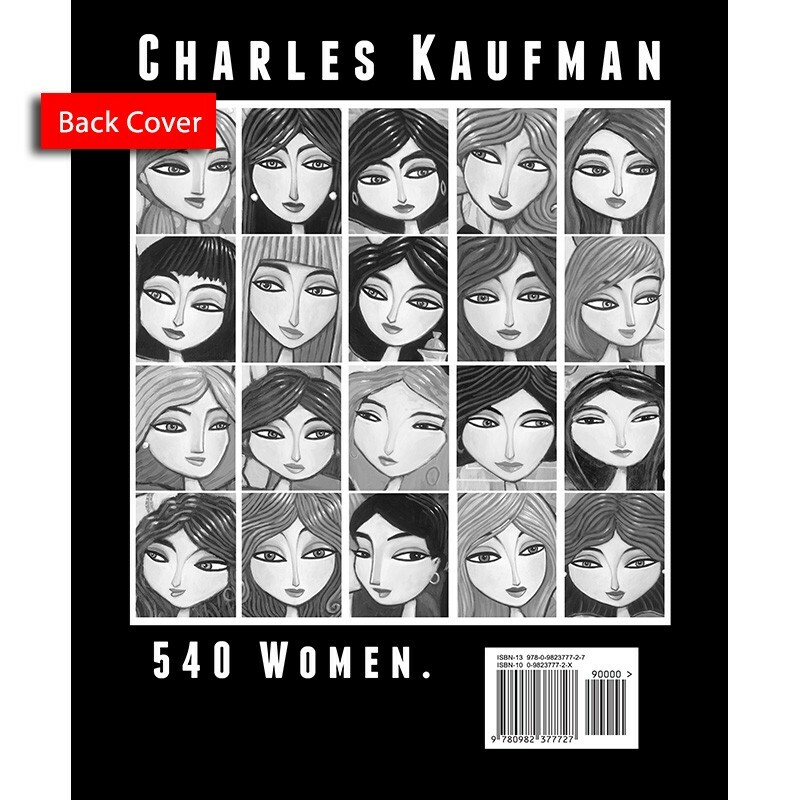 Plus a limited-edition Charles Kaufman 11.95€ book bag! 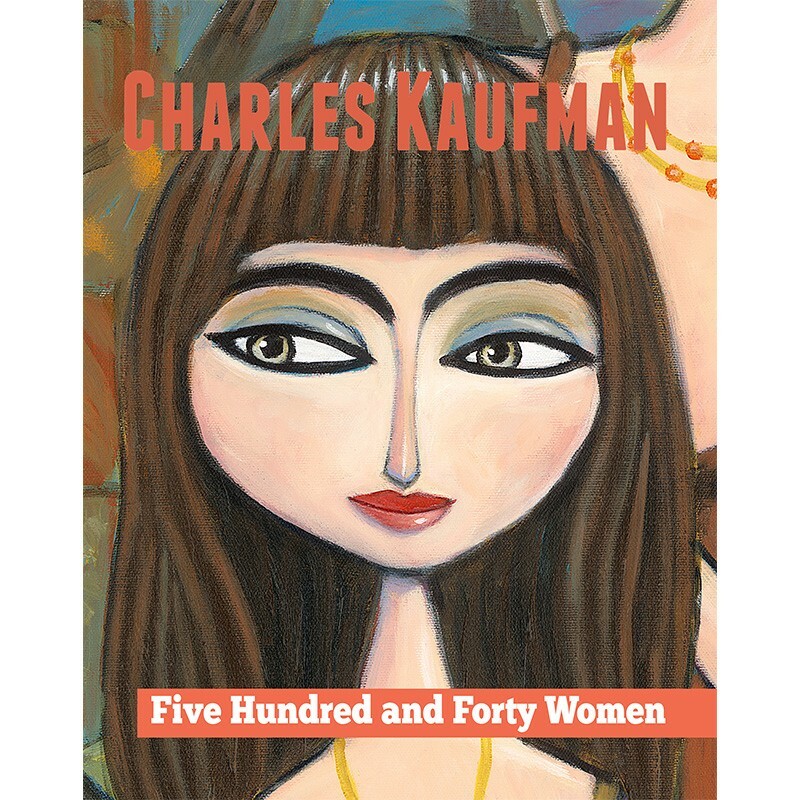 "Five Hundred and Forty Women" is a 246-page collection of over 540 women in over 190 different paintings. 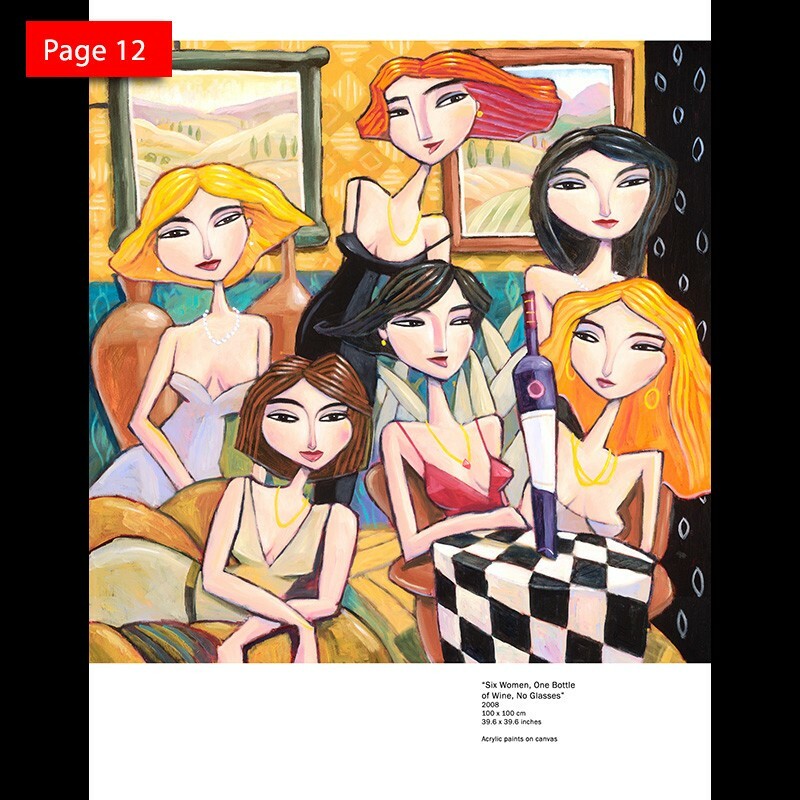 The paintings were created by artist Charles Kaufman from 1991 to 2012. "Sketches". 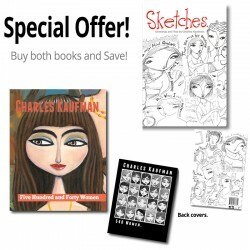 This 240-page book contains over 220 sketches drawn by international artist Charles Kaufman. 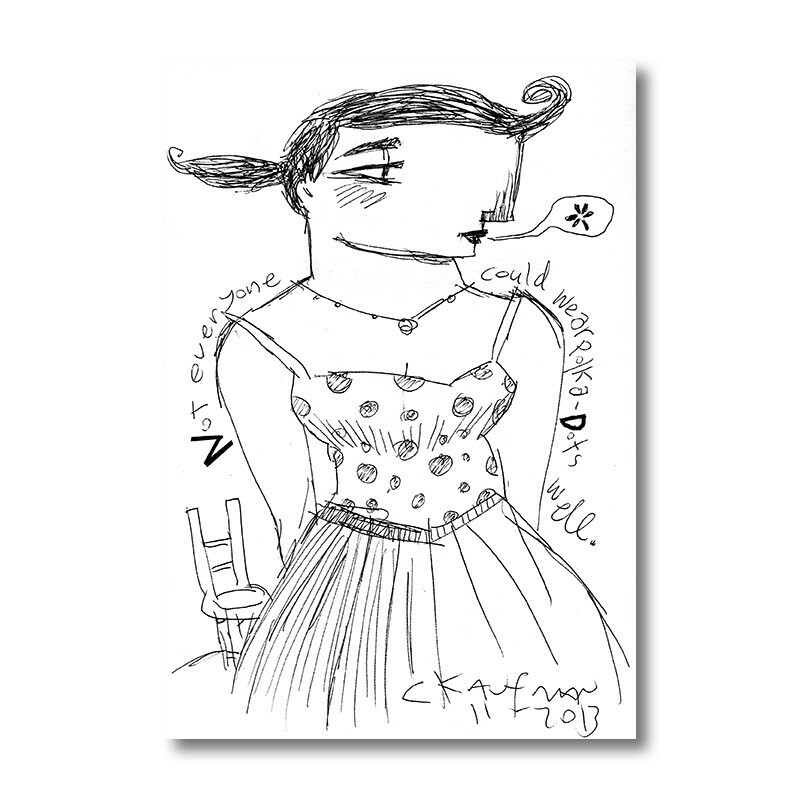 Kaufman combined his drawings with a bit of clever, humorous text to create a fun book to view and read. Dimensions: 10 x 7 x 0.6 inches. Bonus! Books are hand signed & dated by the artist. 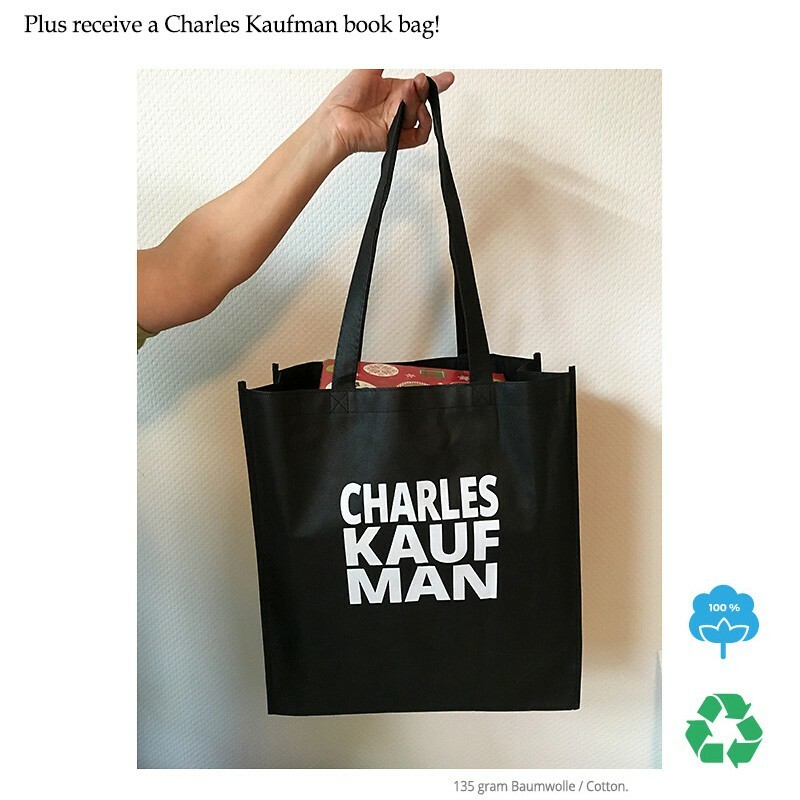 Plus a limited-edition Charles Kaufman 11.95€ book bag!